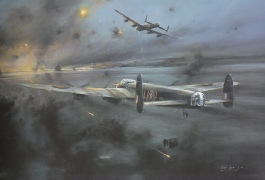 As ma ny colleagues in the Association will know, I am an avid aviation art collector, and am proud to have in my collection a number of original works by such artists as Mike Rondot, Neil Foggo, Jonathan Westwood and Len Hutton that depict aircraft of 208 Squadron throughout its history. 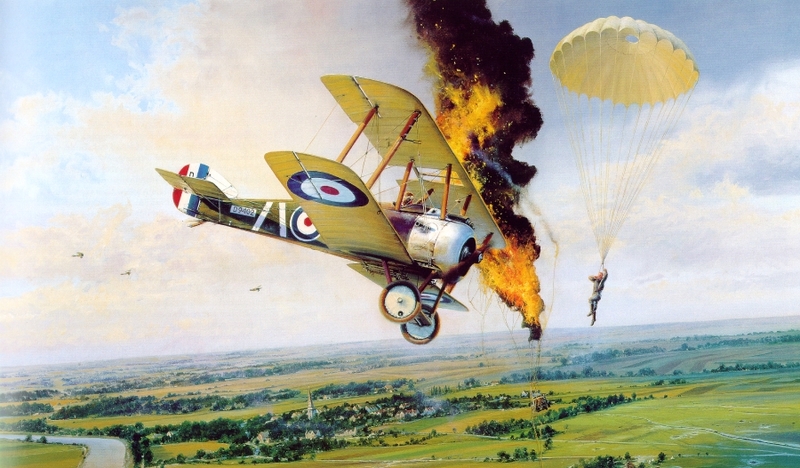 My favourite aviation artist of all is Robert Taylor, who is regarded by many as Britain’s foremost aviation artist. Sadly, his work is of such high regard that I have never managed to acquire one of his originals, but I have a good number of his limited-edition prints, and it is the pursuit off one of the more rare of these prints that in 2001 led me to meet Flight Lieutenant Henry Botterell, the last surviving fighter pilot of World War I and a former member of Naval Eight and 208 Squadron. My story about Henry Botterell starts in August 1999 when my family and I moved to our home in Bath, at which point we decided to have some of my prints re-framed to match the décor in the new house. We chose Framecraft of Bath to carry out the work, whose proprietor, coincidentally, was also named Robert Taylor. For several years, I had been looking for a copy of Robert Taylor’s ‘The Dambusters’, which depicts the release of Barnes Wallis’s famous ‘bouncing bomb’ from Wing Commander Guy Gibson’s Lancaster ‘G-George’ in the attack on the Mohne Dam on the night of 16 May 1943. The print had been published in 1980 as a limited-edition issue and was now out of stock in all of the dealers that I knew. With eBay still some years away, it was proving impossible to find. I thought I had succeeded in 1988, when a new navigator on the Squadron with which I was serving at the time announced that he had been presented with a copy of this print on completing a previous tour of duty. He did not care for it particularly and said that I could have it. My heart sank when he opened a drawer and took out this beautiful limited-edition lithograph, neatly folded into 4, and therefore ruined! So my quest continued.